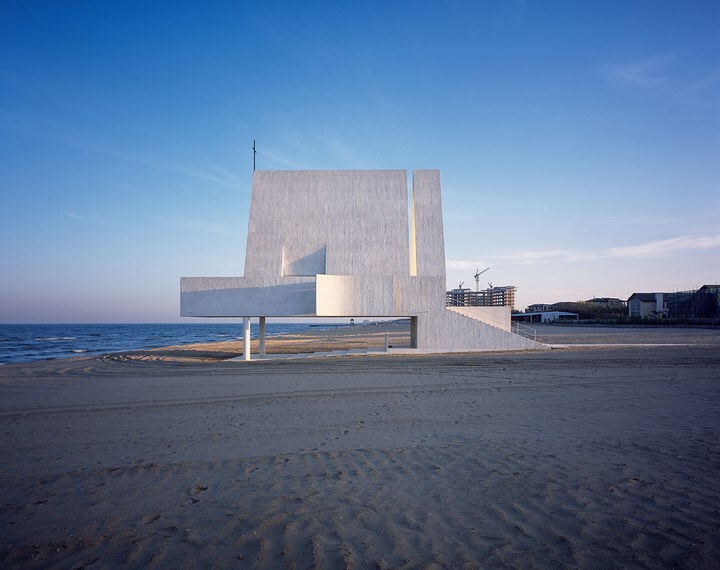 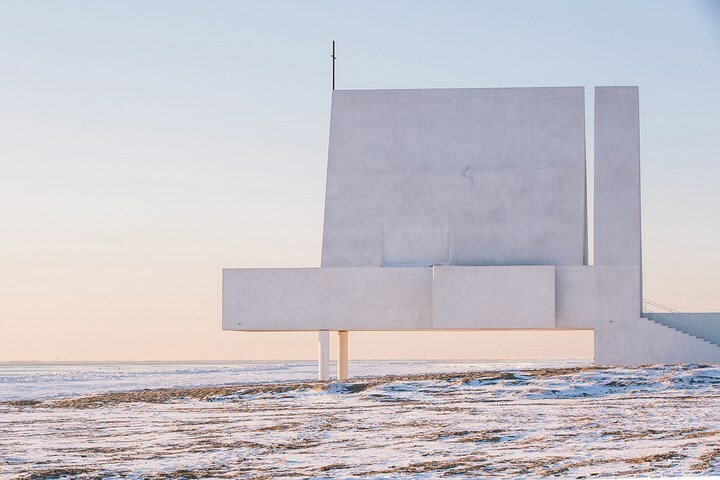 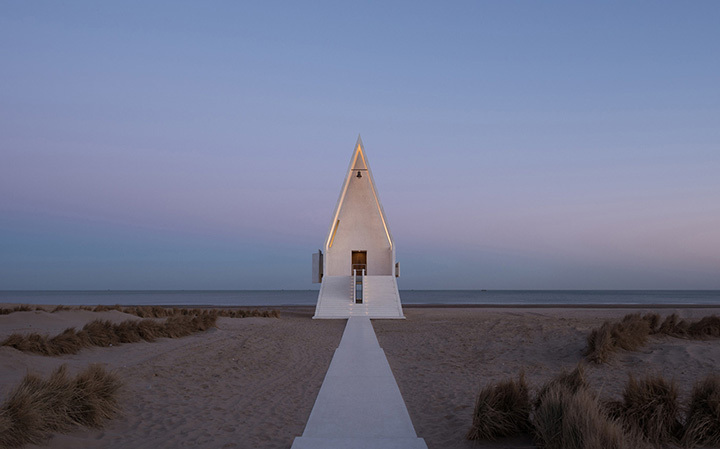 Built by the Vector architects, The Seashore chapel is a beautiful addition to the seashore of Beidaihe. 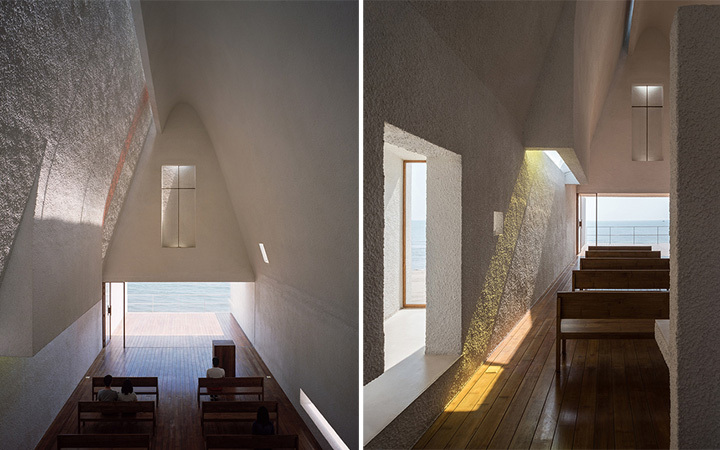 Created as a modern small place of worship, the seashore chapel is the perfect spot for meditation. 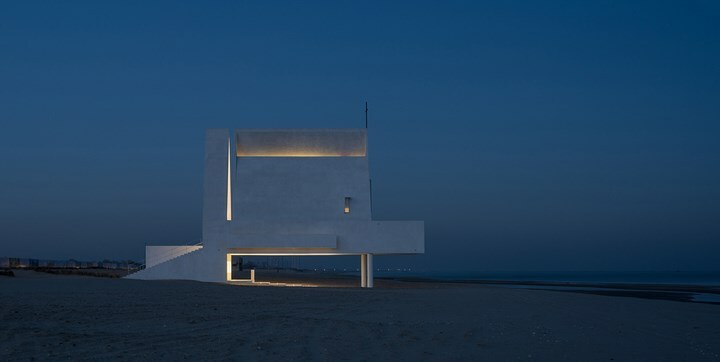 Starting off with a 30 meter long pathway, The building is cleverly elevated using concrete columns to let the water wash the shoreline underneath. 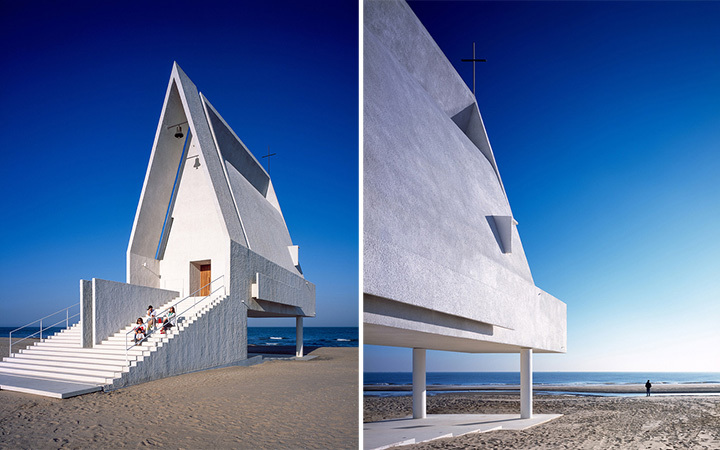 The building features a steeply pitched gabled roof which also doubles as a bell tower on the entrance with a grand flight of stairs. 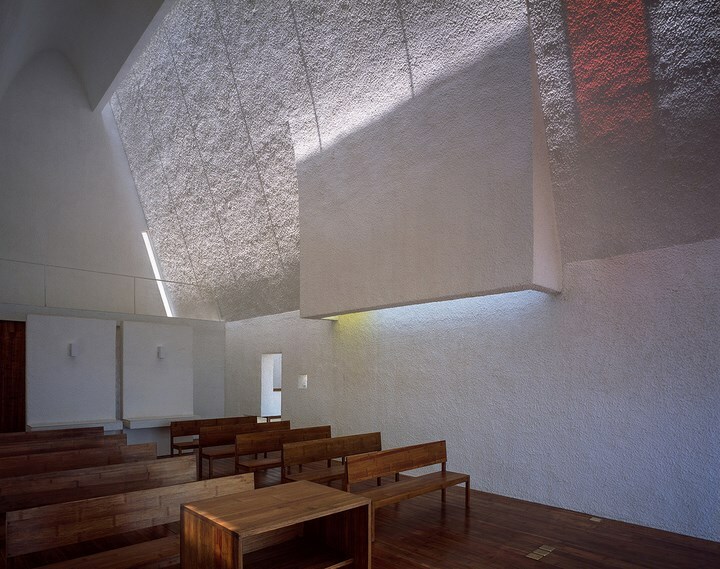 The entire chapel is bathed in white color from stucco walls, with a decorative monotone bamboo flooring, complemented with wooden benches. 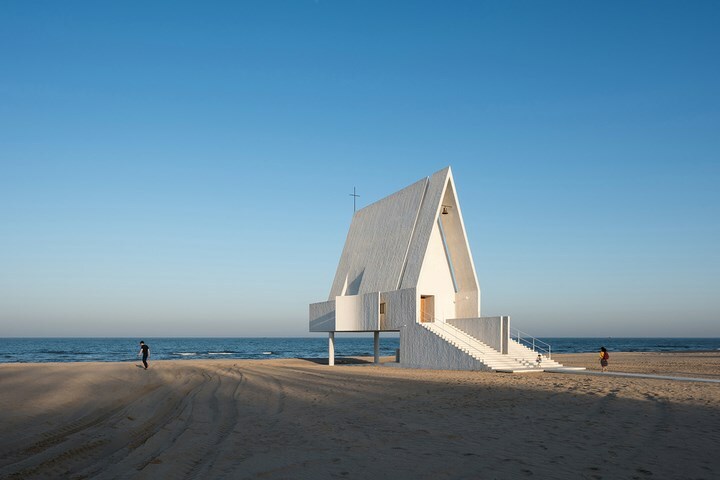 The seashore chapel can be a soothing spot for anyone seeking isolation and peacefulness with the added beauty of the ocean.